A brightly decorated butterfly and colorful daisies make this card a beautiful gift for a volunteer on their birthday. 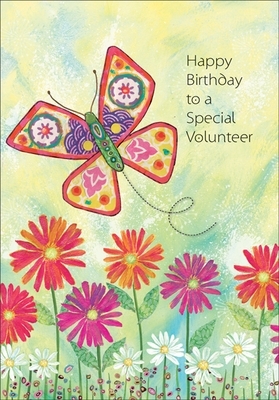 Celebrate a special day with a valued volunteer with the thoughtful gesture of sending this greeting card. Order a package of twelve today and be prepared for your volunteer's birthdays! 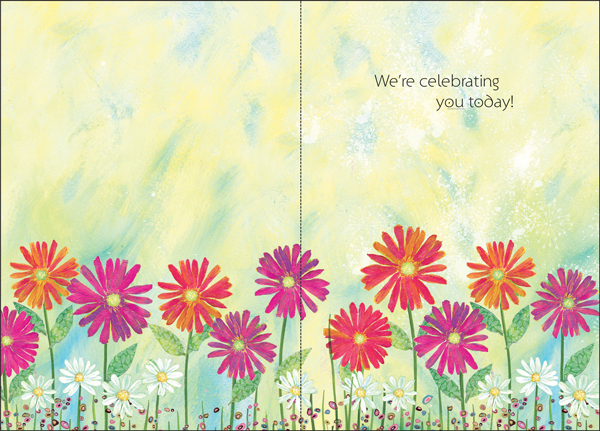 Inside: We're celebrating you today!